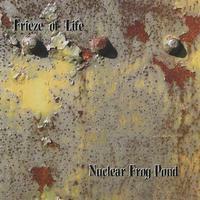 Frieze of Life is a unique ensemble that effectively combines elements of creative improvisation with subtle, complex compositional designs to create a sound that is exciting, spontaneous, and thought-provoking. With inspiration coming from such diverse sources as Jimmy Giuffre’s chamber jazz ensembles, the jazz-based innovations of Anthony Braxton and George Lewis, the harmonic languages of Bela Bartok, Arnold Schoenberg, and Gyorgi Ligeti, and the textural landscapes of Pierre Boulez and Luciano Berio, Frieze of Life offers a fresh, original take on the avant-jazz scene. The members of Frieze of Life are some of the most innovative talents in the Pacific Northwest: Greg Sinibaldi (composer, tenor saxophone, bass clarinet), Mark Taylor (saxophones), Jay Roulston (trumpets), Chris Stover (composer, trombone), Geoff Harper (bass), and Byron Vannoy (drums). All of these musicians are highly in demand in Seattle and nationally, and each maintains an active schedule of performing, recording, composing, teaching, and leading innovative projects. Frieze of Life has been receiving significant attention recently, including an Earshot Golden Ear award in 2004 from the Earshot Jazz Society. They have also received grants from Centrum, the Puffin Foundation, and the Jack Straw Foundation.